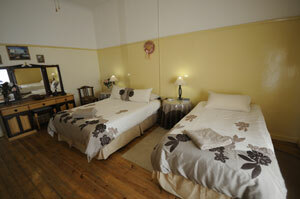 Grunau hotels, accommodation and places to stay. 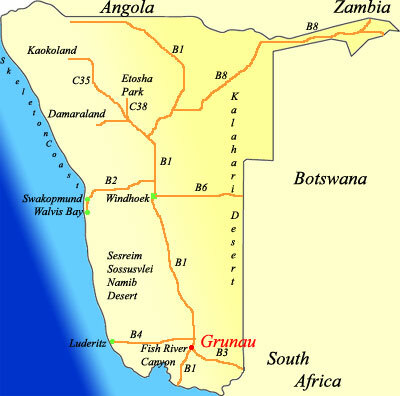 Guide to where to visit and where to stay in Grunau Namibia. 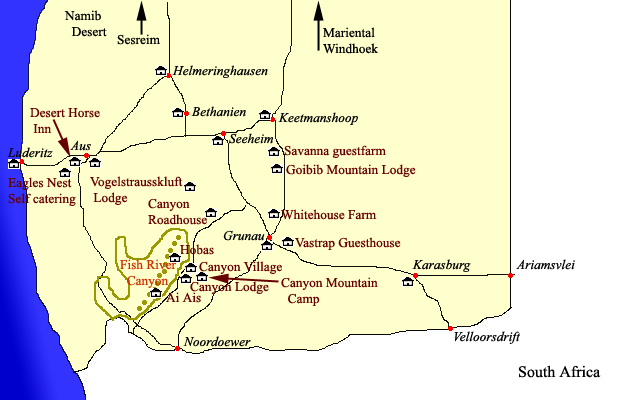 Information on Grunau Namibia, location of hotels, lodges, camp sites, guest houses, bed and breakfasts and places to stay in the Grunau area of Namibia. Distances from major attractions to Grunau and information about shops, fuel and facilities. Welcome to Grunau Chalets Namibia, a great stop over while traveling through Namibia a crossroads from Cape Town, Johannesburg and Windhoek. 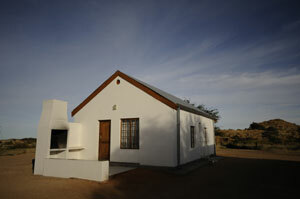 Perfect stopover on your Namibian holiday or vacation. Come and enjoy the wide open spaces, the peace and tranquility, the beautiful sunsets and the millions of bright stars at night. 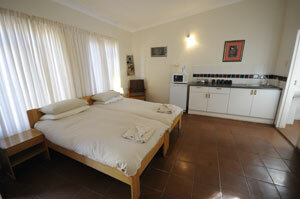 The White House is an affordable, good, halfway stop between Cape Town and Windhoek. We are situated on the main road from Johannesburg and Cape town, South Africa to Windhoek, Namibia's capital. This "B1" main road is the gateway to the Central, Northern and Coastal regions of our beautiful vast country. 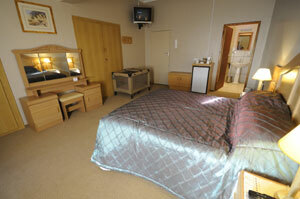 Let us pamper you with friendly Namibian hospitality. Goibib Mountain Lodge is ideally positioned as a base from which to explore the scenic beauty of Southern Namibia. 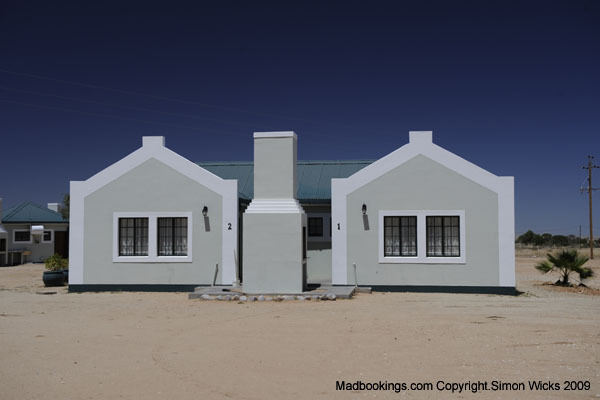 We are situated 110 kilometres South of Keetmanshoop on the B1 highway, heading towards Gruanu, Cape Town or Johannesburg.